consignment of the "Nachrichten aus der Chemie"
The annual fee for student members is 30.00 €. After submitting the registration form, the request of payment is sent to your e-mail or mailing adress. Further information about the registration process is disclosed there. If something remains unclear, please do not hesitate to contact the GÖCH office (office[at]goech.at). To facilitate the registration process, we provide the image of an exemplified application form for a student membership down below. 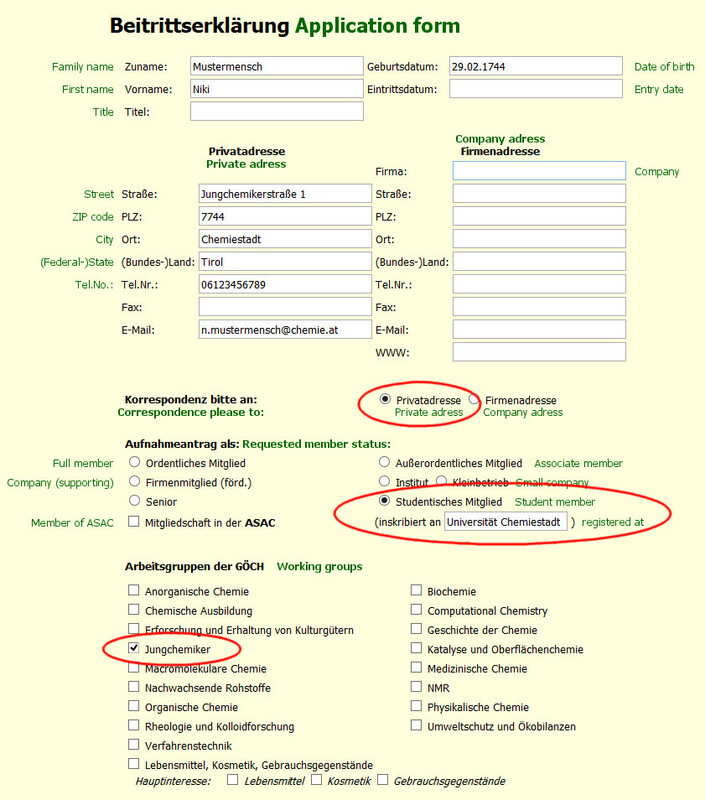 If there is uncertainty which member status to choose, please contact us or the GÖCH office (office[at]goech.at).